Avoid catastrophic transformer failure by detecting turn-to-turn faults involving as little as 2 percent of the total winding. Minimize commissioning time and eliminate costly errors with software that recommends matrix compensation settings. Through-fault and thermal monitoring allows you to track transformer wear and schedule maintenance as necessary. Breaker wear monitoring reduces inefficient and costly breaker maintenance, saving time and money. 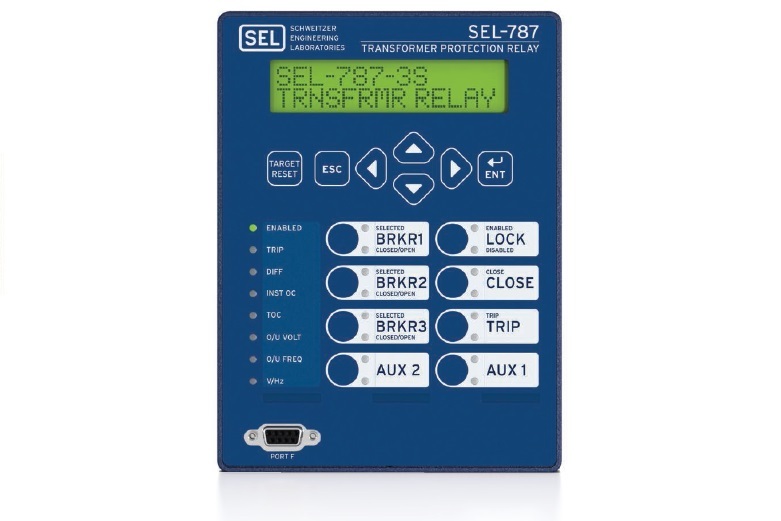 Configure the SEL-487E Transformer Protection Relay for transformer differential protection in transformer applications using up to five restraint currents. This includes single transformers with tertiary windings. Use three independent restricted earth fault (REF) elements for protection of grounded-wye windings. 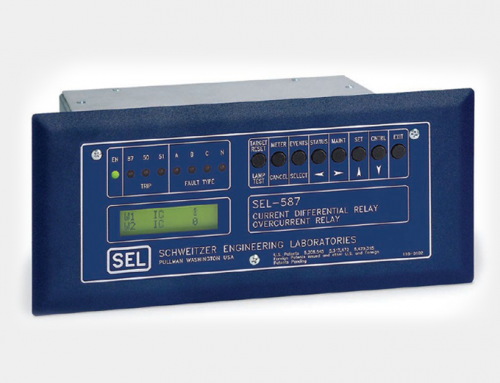 Track transformer wear with through-fault and thermal monitoring. 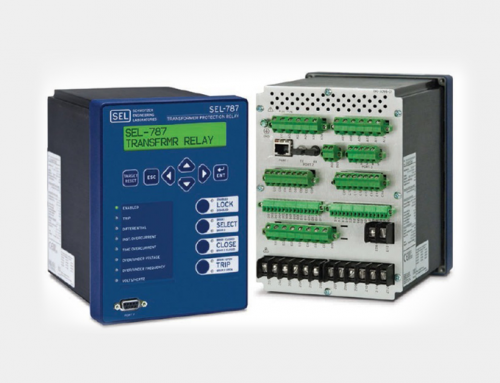 Reduce inefficient and costly breaker maintenance with advanced breaker monitoring. 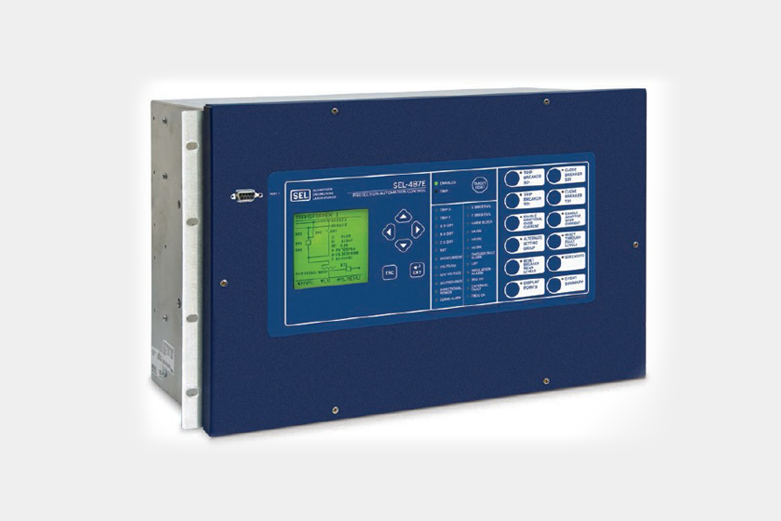 Monitor substation dc power systems for out-of-tolerance voltage levels or excessive voltage ripple. 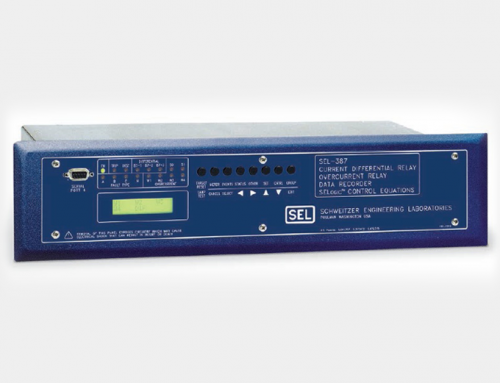 Provide backup protection with five phase, negative-sequence, and zero-sequence overcurrent elements and ten configurable time-overcurrent elements. Set up breaker failure protection with subsidence detection to rapidly detect breaker failure and minimize system coordination times. 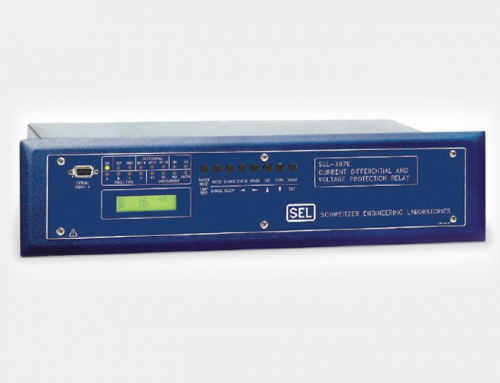 Implement a two-stage slope that automatically adapts to internal or external fault conditions, even with CT saturation and heavily distorted waveforms, for fast, sensitive, dependable, and secure differential protection. The adaptive differential element responds to internal fault conditions in less than 1.5 cycles. Protect large transformers and auto-transformers with breaker-and-a-half high- and low-side connections. 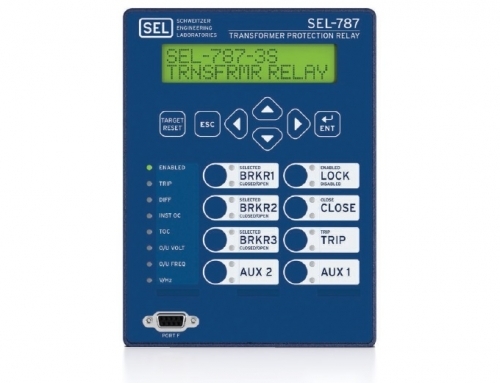 Also, configure for a typical two-winding transformer application, and use the remaining three-phase current inputs for feeder backup protection. Avoid catastrophic transformer failure. 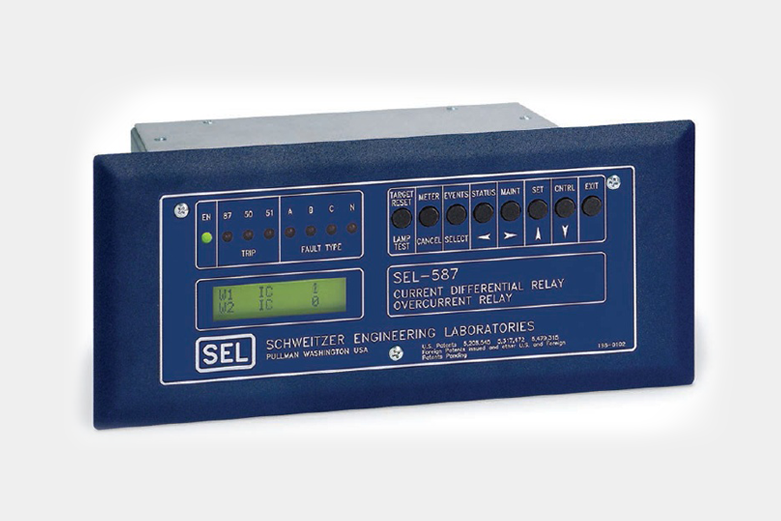 Detect turn-to-turn faults involving as little as two percent of the total winding with the patented negative-sequence differential element. 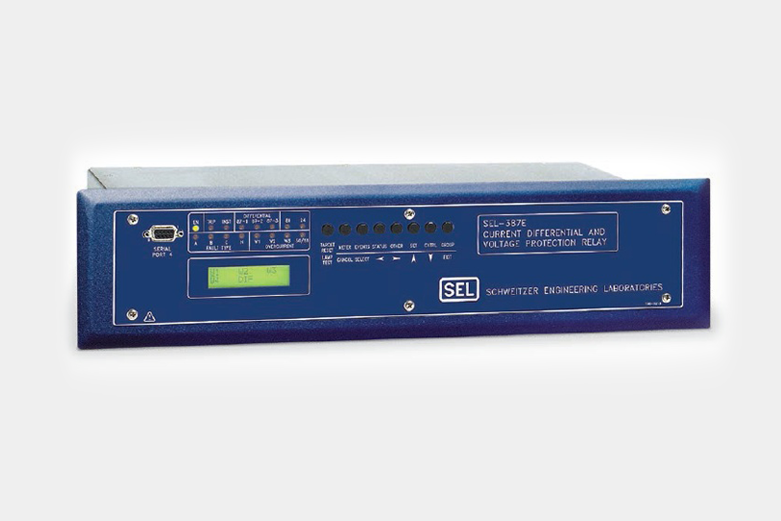 Protect generator step-up (GSU) transformers, and apply the built-in temperature measurement (requires the SEL-2600 RTD Module) for monitoring generator and transformer winding temperatures simultaneously. Apply the volts/hertz element for overexcitation protection of loaded and unloaded generator operating conditions. 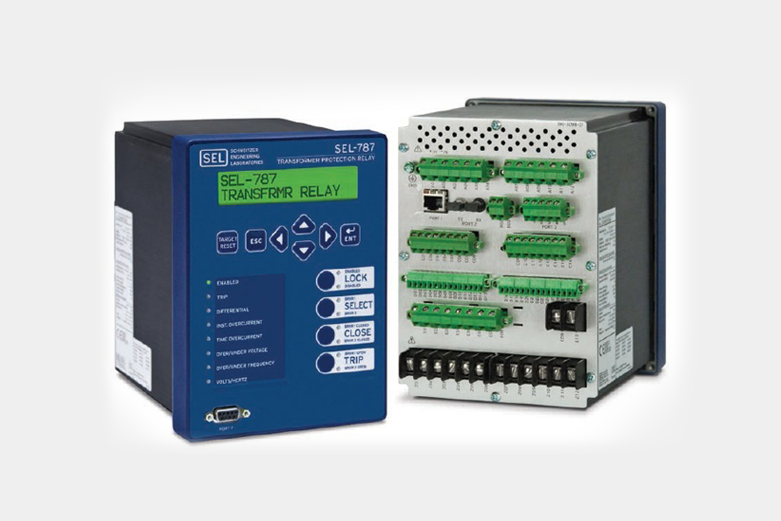 Set the directional power elements to detect forward and reverse power flow conditions to monitor and protect the GSU transformer in prime power, standby, base load, and peak-shaving applications. 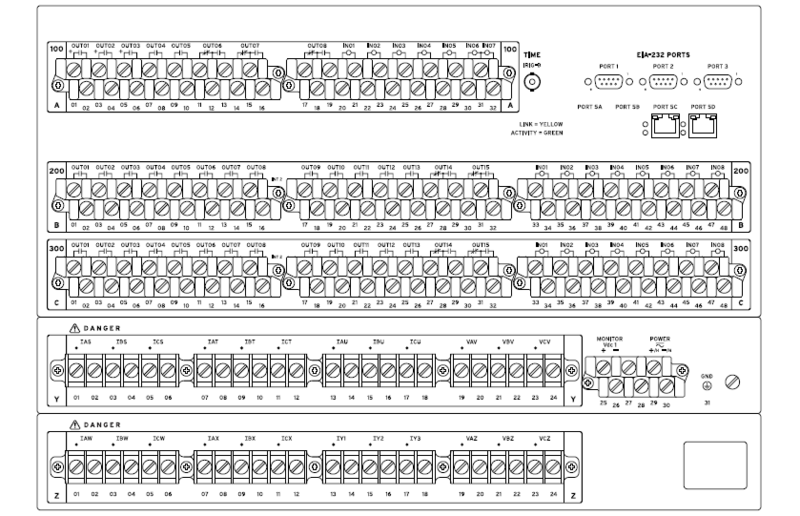 Verify generator breaker synchronization with built-in synchronism check elements. 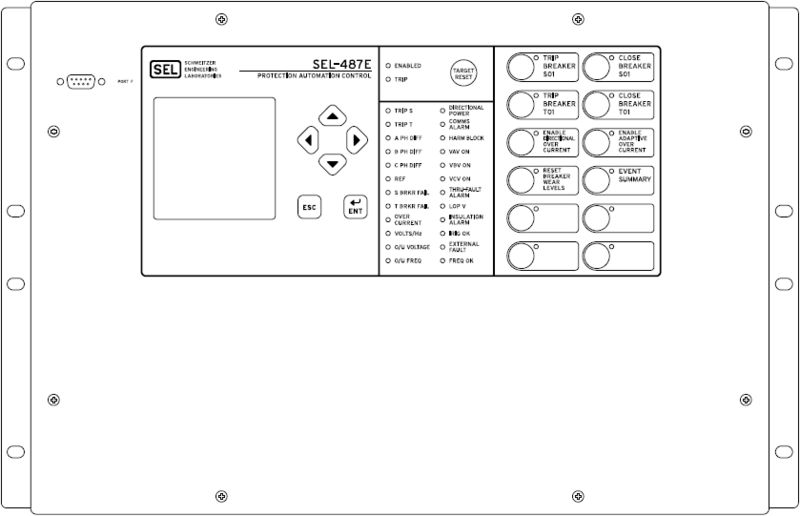 Improve power system quality with SEL synchrophasors (IEEE C37.118) from all 24 analog channels (6 voltage and 18 current sources) in your relay. 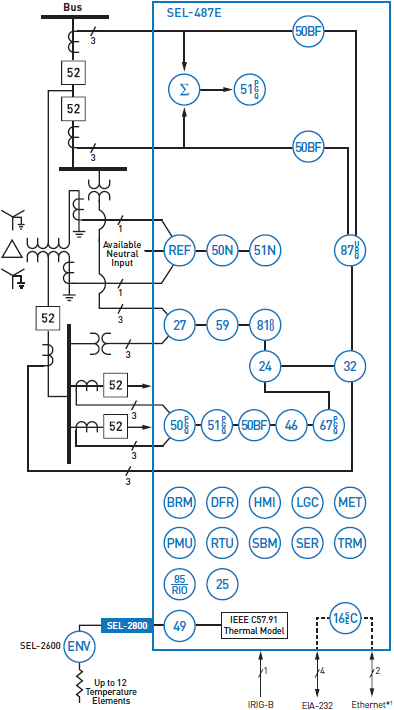 Use synchrophasors over serial or Ethernet communications to easily detect reactive loop flows, turn state estimation into state measurement, and provide early warning of potential system instability. Implement real-time control by receiving synchrophasor messages from two PMUs, and take action based on local and remote messages.